IPCC, Ethics, and Climate Change: Will IPCC’s Latest Report Transform How National Climate Change Policies Are Justified? The international press has widely reported recently on some of the most dire conclusions of the 5th Assessment Report (AR5) of the Intergovernmental Panel on Climate Change (IPCC). These warnings have included that the world is running out of time to prevent dangerous climate change and that rapid and unprecedented cooperation among countries is urgently needed to avoid climate catastrophe. Yet, there has been little media coverage of an enormously important topic that is sprinkled throughout the recent Working Group III report as well as being the major focus of two new chapters largely dedicated to the topic. This is the issue of the extent to which national responses to climate change must be consistent with obligations entailed by ethics and justice rather than economic rationality and self-interest alone; matters which have profound practical significance for the acceptability of national climate change policies. Given that most nations have been setting national ghg reduction targets on the basis of national economic interest rather than global ethical obligations, if the new IPCC chapters, one on ethics and a second one on equity in the IPCC Working Group III report, are taken seriously by governments, this could transform national responses to climate change. These chapters should also be of value to civil society in criticizing inadequate national ghg emissions reductions commitments. This is the first in a multi-part series that will examine the ethical and justice issues embedded in and raised by the recent IPCC reports. Although this series will conclude that the recent IPCC AR 5 Working Group III report is laudable for more clearly identifying ethical issues with the ways governments, some international organizations, and NGOs have often discussed, debated, and made recommendations on climate change policies, the series will also make some criticisms of how IPCC has articulated the significance of the ethical, justice, and equity issues entailed by climate change. As we have explained frequently in EthicsandClimate.org, climate change is a problem that has unique features that demand that it be understood essentially and fundamentally as a civilization challenging moral problem. These features include the fact that human-induced warming is a problem that: (1) is being caused mostly by high-emitting nations, peoples, and entities that are putting low emitting nations and peoples at greatest risk who are often among the world’s poorest nations and people and who have done little to cause the problem, (2) the harms to those most vulnerable to climate change are not mere inconveniences but are often existential threats to life and the ecological systems on which life depends, and (3) those most vulnerable to climate changes’ harshest impacts can often do little to protect themselves from climate change’s harshest impacts. In fact, the victims’ best hope is that high-emitting nations and peoples will see that they have duties and responsibilities to climate change’s victims to greatly reduce their ghg emissions. 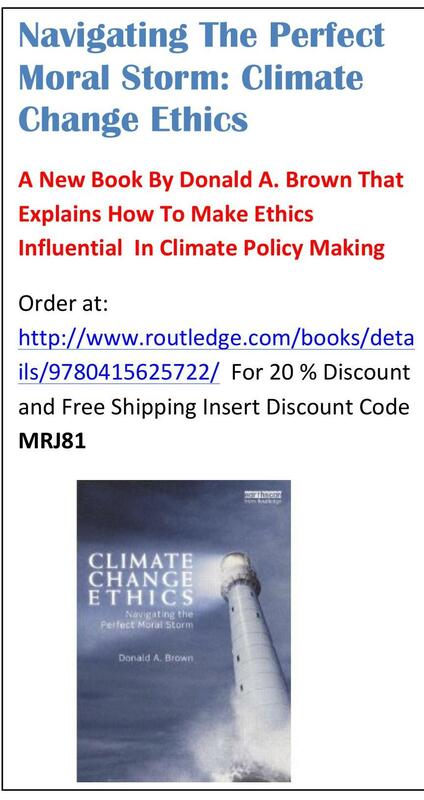 We have also frequently explained why an understanding of the moral and ethical dimensions of climate change has extraordinarily important practical significance for climate change policy formation particularly in regard to: (1) setting national ghg emissions reduction targets, (2) taking a position on adequate greenhouse gas (ghg) atmospheric concentrations, (3) determining who should be responsible for paying the costs of necessary adaptation and compensating those who suffer climate change damages, and, (4) deciding who should participate in decisions on proposed climate change policies that must be made in the face of some uncertainty about climate change impacts. In its first four assessments in 1990, 1995, 2001, and 2007, IPCC relied almost exclusively on economic analysis of policy alternatives, rather than ethics and justice, in its guidance to policy-makers on how to develop climate law and policy. In fact, in this regard, the AR 5 in the new chapter on the Social, Economic, and Ethical Concepts, IPCC admits expressly that in prior IPCC Reports “ethics has received less attention than economics, although aspects of both are covered in AR2. 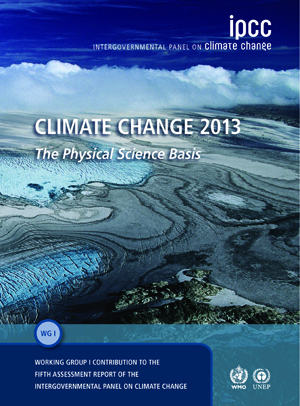 (IPCC, AR5, Working Group III, Chapter 3, pg. 10) Yet the treatment of ethics in IPCC Working Group III in AR2, is hardly a serious consideration of the implications of ethical and justice principles that should guide climate change policy because the vast majority of text in this report is focused on traditional economic analysis which assumes that climate policy should maximize efficiency rather than assign responsibility for reducing the threat of climate change, allocate emissions reductions among nations, determine who should pay for needed adaptation or compensate victims for climate damages on the basis of ethical principles. In fact, the AR2 report includes many statements that would lead policy-makers to conclude that it is perfectly permissible to determine the amount of ghg emissions reductions any nation should be required to achieve solely on economic considerations. For instance, AR 2 says expressly that: “there is no inherent conflict between economics and most conceptions of equity.” (IPCC, 1995, AR2, Working Goup III, pg. 87) Moreover. any fair reading of prior IPCC reports would conclude that policymakers were encouraged by IPCC to base policy on economic considerations such as those determined in cost-benefit analyses. In light of this, the tendencies of national governments to adopt climate change policies on the basis of economic considerations that frequently ignore ethical obligations to those most vulnerable to climate change impacts is not surprising. In fact, a strong case can be made that the IPCC in its first four assessment reports failed to adequately identify ethics and justice principles that should guide the formation of national climate change policy. And so the new AR5 IPCC Working Group III report by including statements which conclude that self-interested economic justifications for national climate change policies are ethically problematic is both a profound shift from prior IPCC guidance on how nations should set climate change policies and could form the basis for strong criticisms of national ghg emissions reductions commitments. In addition to the above provisions, the IPCC AR5 Working Group III report examines throughout the report many other climate change policy issues that raise important ethical questions. 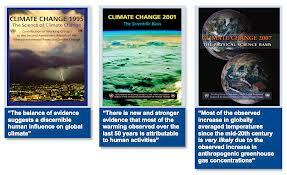 Sometimes the IPCC treatment of the ethical dimensions of these issues is acceptable and other times inadequate. These other issues include: (a) an acceptable basis for burden sharing by nations to limit warming to tolerable levels, (b) temperature levels that could trigger abrupt climate change, (c) the unique vulnerability to climate change impacts of many of the world’s poorest people, (e) whether national ghg emissions reductions targets should be set on the basis of ghg emissions released within a national territory or on the basis of products consumed in that nation which have embedded ghgs created by their manufacture in other places, (f) the fact that extraordinary degrees of irreversible damage and harm from climate change are now distinct possibilities, (g) various frameworks for equitable burden sharing, (h) gross disparities in per capita emissions around the world, (i) whether national ghg emissions targets should be legally binding, (j) various issues entailed by a growing number of climate refugees, (k) fairness issues by nations that seek to create boarder adjustments or monetary penalties on nations that have no comparable emissions reductions targets, (l) funding for adaptation and damages in poor vulnerable nations, (m) the role of trading flexibility mechanisms in an international climate regime, (n) the remaining global ghg emissions budget that all nations must live within to prevent dangerous climate change, and (o) the human rights implications of national climate policies. We will explain in future entries in this series that how IPCC has handled the ethical issues entailed by these issues has sometimes been unacceptable or incomplete despite being improvements from prior IPCC reports. One common problem with IPCC’s treatment of the ethical dimensions of climate change policy making is that the text often leaves the impression that while policymakers should consider ethical questions in developing climate change policies they are free to ignore what ethics requires of nations. Particularly in some places, the text does not adequately communicate that were strong ethical duties for nations to not greatly harm others or the ecological systems on which life depends exist, they are not free to follow national economic self-interest in setting climate change policies. The text often reads as if ethics is an optional consideration along with economic self-interest when formulating climate policy. We will examine this problem in more detail in future entries on this subject on this site.